You’re probably expecting some insightful perspective on lead generation, forward-thinking brokerage models, or perhaps something about why we should either love or absolutely reject Zillow. You’re probably expecting some sort of never-ending praise of Inman Connect, and reasons why the the conference provides such a strong foundation for learning, growth and connection. I am sorry to disappoint you, but this is not that type of article. In the coming months, you’ll hear from others about what makes this conference superb in every way. Well, I want to give you another perspective — the side of Inman Connect that most people do not know, and perhaps a side of our industry that always goes unnoticed. In 1998, I left the Democratic Republic of The Congo (DRC) under some very peculiar circumstances. I arrived in the U.S. when I was 17 years old, without my family, money or a place to stay. Over and over again, the kindness and heartfelt embraces of people and friends around me allowed me to survive. I eventually made it through high school, went to college, graduated, landed a job, got married and started a family. To the rest of the world, these accomplishments are symbols of success and an embodiment of the American dream — come from nothing, and become something. But what most people didn’t know was that behind my smiles, my accomplishments and my professional ascension was a broken man who never got to share his major life moments with the family he loved so dearly. I went through life like this for a while. Eventually, you learn to spare yourself from disappointment and heartbreak because a piece of your soul is missing. Very vocal prayers became murmurs in the middle of the night, followed by tears and a desperate plea to fall back asleep. I spent years framing a picture in my mind of all my family — the one from the DRC and the one in the U.S. — together in one place at one time, finally meeting, hugging, embracing and loving each other. But that picture faded more and more with each passing year. I didn’t have the necessary resources to make that dream a reality, and it seemed like everything I worked for amounted to absolutely nothing. Then I went to Inman Connect San Francisco in 2015. Like many of you, I walked the halls of ICSF meeting people, smiling and spending time with strangers who were willing to smile back at me. All of those real estate people — the ones constantly worrying about sales, closings and commissions — were different. They seemed happy and, dare I say, genuine. Some wanted to know more about me. And yes, I became super efficient at telling my personal story and came to expect the typical response: “Wow, Billy, sorry to hear about you leaving your home in the Congo.” After all, why should people care? Why should anyone care, really? So, I went on with the same attitude at ICSF — I smiled, I shook hands, met incredible people with amazing stories, and I went to workshops, parties and dinners. It felt great to have people around who seemed to care about me. I left Inman feeling great about the new friends I made. We stayed in touch and continued to interact — sometimes in person, but mostly online. 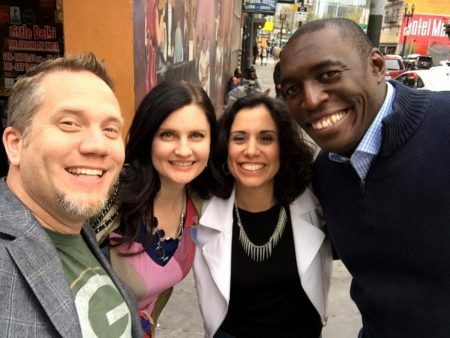 Somewhere between August 2015 and August 2016 my personal story made its way through certain circles at Inman, and I was asked to share it in public at Inman Connect SF in August 2016. While preparing for what was one of the hardest presentations I have ever given in public, there were people in the industry (from the company I work for and Inman Connect) who were plotting something wonderful and unthinkable — raising the money, fighting for the visa, and making the travel arrangements for my family to reunite with me in San Francisco. It was chaotic, unscripted and an attempt to mend so many years of emotional neglect. 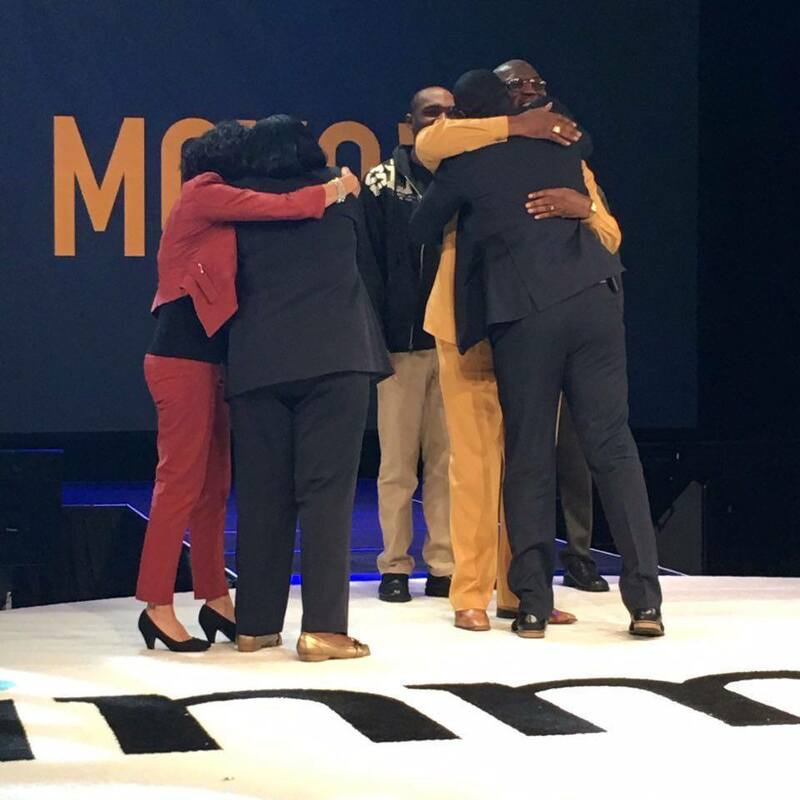 On the stage at ICSF 2016, my family and I were reunited after 18 years of separation. Reunited onstage at Inman Connect. I’m often asked what it felt like to experience this amazing moment. It felt like I was being hugged and loved on by over 4,000 people at the same time. In an instant, a family of five became a family of many, many more. That day ended with my family taking the rest of the afternoon off and my wife and I sharing a meal with Dale and Stephanie Chumbley (while still in shock from what happened earlier that day). Maybe you are where I was in 2015 — preparing to attend a conference you know nothing about, with strange people from all over the world. Maybe your personal life is broken or in serious need of an anchor. I don’t know much about other events in the industry — frankly, I am still relatively new to the real estate industry — but I am here to tell you that this industry is more than just the glamour and the “happy closing day” Facebook posts. This industry is about people. Inman Connect is many things to a lot of people. For me, it’ll always be the event that made me whole again. Someone once told me that there is no greater love than that of someone who lays down his life for his friends. Imagine being at a place with 4,000 people who would lay down their lives for you. Billy Ekofo is the director of leads management at Century 21 Redwood Realty. Follow him on Twitter.